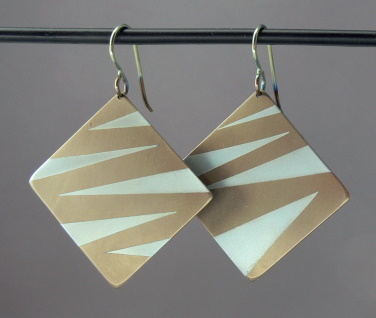 SqTgr: Bronze and Gold Tiger Square Dangles where the bronze and gold catch the light differently, so which is the lighter color depends on the angle of the light. These are a fun choice wherever you'd like to catch an eye. Stripes are hand-cut, so designs will vary.